‘Ohana is located on Disney property within the Magic Kingdom resort area that we have been to numerous times. 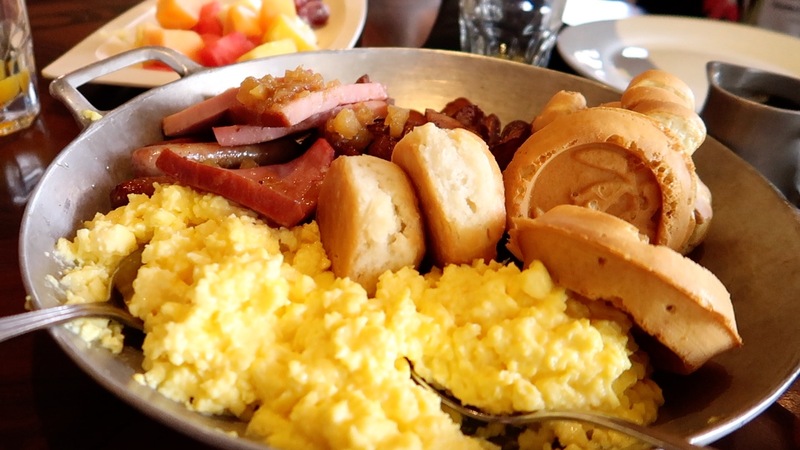 We are drawn to it for numerous reasons and although on our most recent trip we didn’t have the best experience at dinner; breakfast has never disappointed. 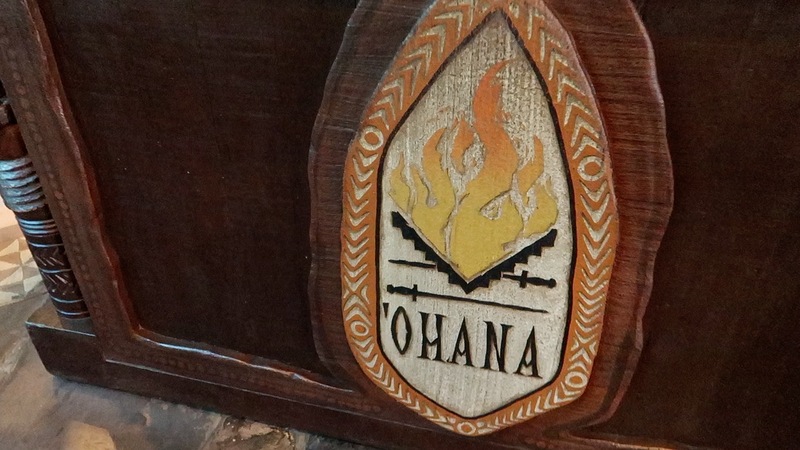 Here are my top 5 reasons to visit Ohana restaurant on your next trip to Walt Disney World. It’s not located in a park so if you have no intentions of visiting the theme parks but you want a character breakfast then this is one of many places to find just that! It’s free to park too just tell the guard on the gate you have a reservation and they will let you in. 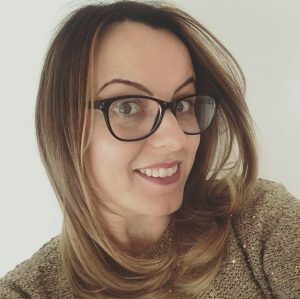 The fact that it’s NOT in a park and anyone can dine there I cannot recommend making a reservation enough… it’s EXTREMELY unlikely you will get a walk up reservation or if you do you will have to wait a while! 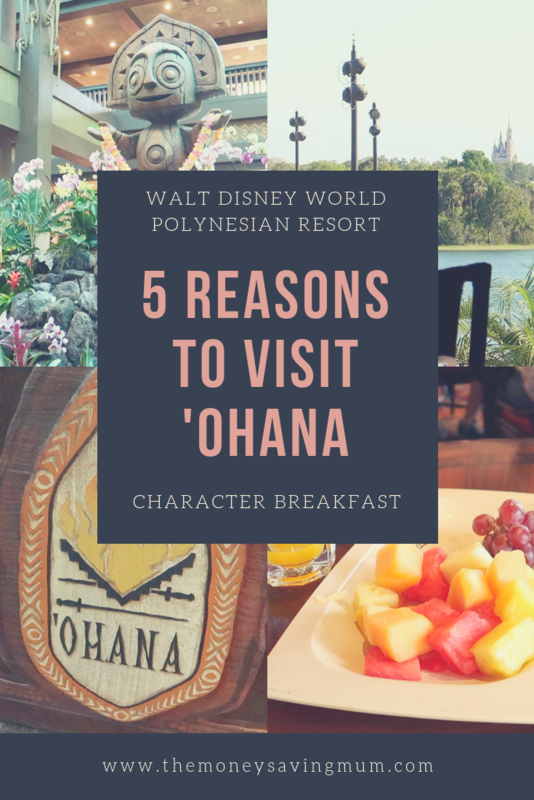 Breakfast at ‘Ohana is the best place to guarantee a meet and greet with Lilo and Stitch. If you’re going to come across them anywhere else then it’s likely to be Animal Kingdom but it might just be by chance that they pop up or walk straight past you. My daughter loved dressing up as Moana given it’s Polynesian themed dining but there were many children dressed up as Lilo too which was cute! It’s an ‘all-you-can-eat come-to-your-table’ style buffet. If you are dining with children then it’s the one of the best style buffets you can get on property! 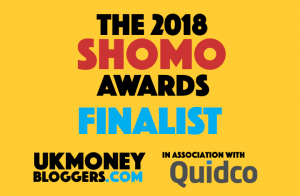 It just means instead of having to go up and sort your kids food out before your own or having to leave the kids at the table while you get yours; they bring everything to your table. AND you can ask for someone specific if you don’t want certain things. 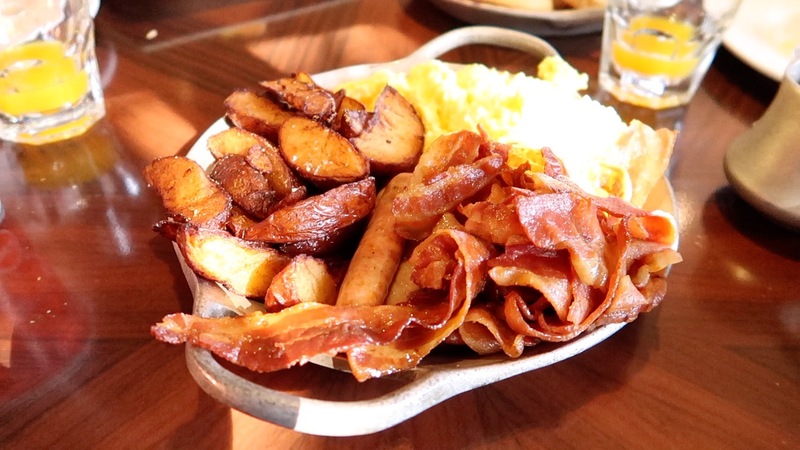 We just wanted more potatoes, sausages and bacon last time so our server brought exactly that. 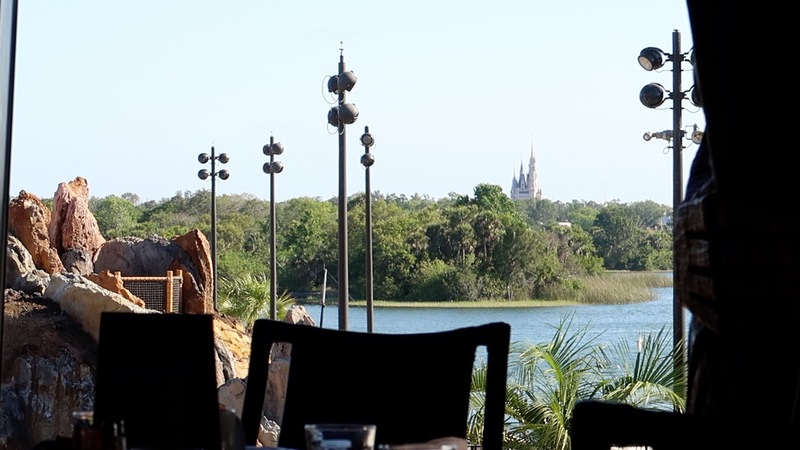 You have an amazing view of the Seven Seas Lagoon and the Magic Kingdom castle. We have eaten at Ohana in the evening too! If you time it right and get a decent table you can watch the fireworks whilst eating your dinner. They can’t guarantee you will get a good view but the atmosphere is lovely in an evening with live music and interactive games for the kids. There are NO character interactions in the evening though. Stitch waffles!!! You will not get Stitch waffles anywhere else and again you can ask for more!! Ask which alcoholic beverages are included for free (1 per adult) in your Dining Plan – there will be a menu there but not all will be included.